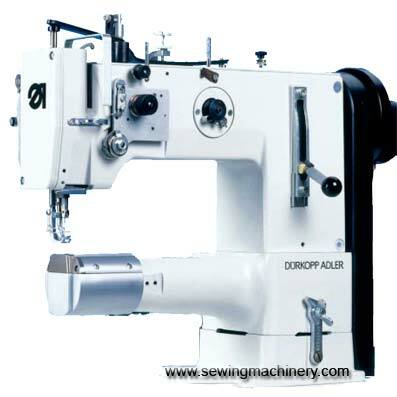 Only free-arm machines allow special sewing operations to be carried out on three-dimensional or tubular design items when processing technical textiles, shoes and leather goods, soft bags and similar products. For applications in the medium-weight area, the robust single and twin-needle versions of the 269 class with bottom, needle and alternating top feed, large vertical hooks and safety clutch offer ideal conditions for these demands. The large range of practical sewing equipment, material guides and extras guarantee a broad spectrum of use for this series. The twin needle version is mainly used in the manufacture of filters etc..